Design a process to help clarify faculty expectations and create better alignment between expectations and their rewards and recognition at your institution. Constitute and charge a task force to examine expectations of faculty at your institution. Provide guidance to the task force of good practices for executing its charge and processes for analyzing its results. Clarify task force expectations by sharing a sample outputs and reports from task forces that have completed their charge. 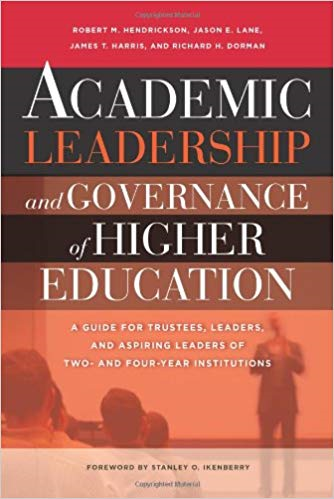 Formulate a plan to communicate and leverage the task force output to improve hiring practices, the promotion and tenure processes, improve faculty morale and the understanding of the faculty role in a variety of constituent groups. Read the complete article, comment, and share on social media at https://hellocommunity.net/peer-review-article/creating-congruence-between-the-faculty-role-and-institutional-expectations-recognitions-and-rewards/. ‹ Blog: The Visionary Servant Leader – A contradiction in Terms?